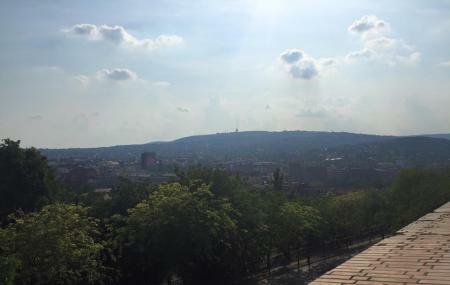 Buda Hills is a very important point to get the perfect panoramic view of the city. It offers people various hiking trails and ranges that can easily be climbed to just see a view from the top. In the foot of Buda hills, almost all the main attraction of Budapest lie. Remember to take the funicular to the top of the hills if you do not wish to hike, the experience is breathtaking by itself. The botanical zoo and gardens, the Margaret Island, City Park and various other attractions that increase the beauty of these amazing hills. There is also a basic ski run which attracts various ski lovers over the winter season. The zoo has various trails Janos-Hegy is the tallest of the Buda Hills and offers you various opportunities to have some memorable hikes. Normafa is another spot that is frequented by people who love to capture Budapest in all its glory. Wear hiking shoes if you are going for hiking. Carry drinking water along with yourself. Chair lift: 1400HUF (adult), 800HUF (children). By hired car from the city. How popular is Buda Hills? People normally club together Széchenyi-hegy, Gyermekvasút and Széchenyi-hegy while planning their visit to Buda Hills.